Ever since his press tour for Spectre, as well as the announcement that director Sam Mendes would not be coming back for what's tentatively known as Bond 25, Daniel Craig's involvement with the James Bond franchise has been somewhat of an on again / off again prospect. 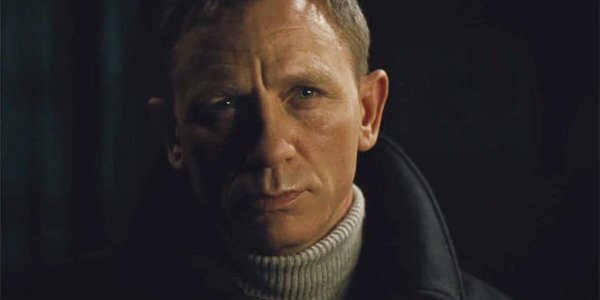 Well, if the most recent rumors are true, then it looks like the die has been cast... and Daniel Craig has left the building. Daniel is done – pure and simple – he told top brass at MGM after Spectre. They threw huge amounts of money at him, but it just wasn’t what he wanted. He had told people after shooting that this would be his final outing, but the film company still felt he could come around after Spectre if he was offered a money deal. Obviously, Daniel Craig's departure from the 007 franchise seemed like a sort of occurrence that could happen at any moment. With 10 solid years, and four entries into the Bond canon under his belt, Craig has the films to say that he's given the role his all. Not to mention, he's got the injuries to prove it, the most recent one being a knee injury suffered on the set of Spectre, which required surgery and recovery time for the 48 year old actor. While he may still be fit as a fiddle, Craig has obviously been thinking about when to send his tux to the cleaners for the last time. Even the ending of Spectre hinted at the possibility that we've seen the last of the Daniel Craig incarnation of Bond, as he rode off into the city streets with Lea Seydoux's Madeline by his side. So if Daniel Craig is going to be saying goodbye to the James Bond lifestyle, who's the odds-on favorite for stepping in for the next outing? Obviously, if you saw the news that bookmakers have suspended all bets on his candidacy, you know that Tom Hiddleston is the current front-runner for the famed role that Ian Fleming created in 1953, with his novel Casino Royale. With The Night Manager boosting his visibility as both a consummate professional, as well as a damned good spy, Hiddleston's previous remarks in favor of accepting the role may have paid off after all. Again, this is all speculation, as the last time the internet freaked out over the betting odds being closed on a James Bond candidate, we thought Radiohead's opening theme was going to be the one Spectre used to set the scene. So for the moment, there's no definitive proof that Daniel Craig is out, or that Tom Hiddleston is even being considered. Then again, it was The Daily Mail that started to hammer down hard on the side of Christoph Waltz playing the role of Blofeld, so there may be some truth to the rumors. In which case, Mark Strong totally called it.